For the past six years, New York City’s sanitation workers—uniformed in green—have experienced a higher rate of line-of-duty injuries than most of the city’s workers, second only to firefighters. In fact, according to the Bureau of Labor Statistics, the jobs performed by sanitation workers are among the most dangerous jobs in the nation, right up there with pilots, fishermen and loggers. In the nation, Refuse and recyclable material collectors had a rate of 33 fatalities per 100,000 workers, compared to a fatality rate of just 3.2 for all workers in 2013. In New York City, sanitation workers are responsible for picking up 12,000 tons of trash each day, and for sweeping and clearing snow and ice from 6,000 miles of city streets. According to the Uniformed Sanitationmen’s Association, an average New York City sanitation worker will walk 15 miles and lift 26 tons of garbage in one week. 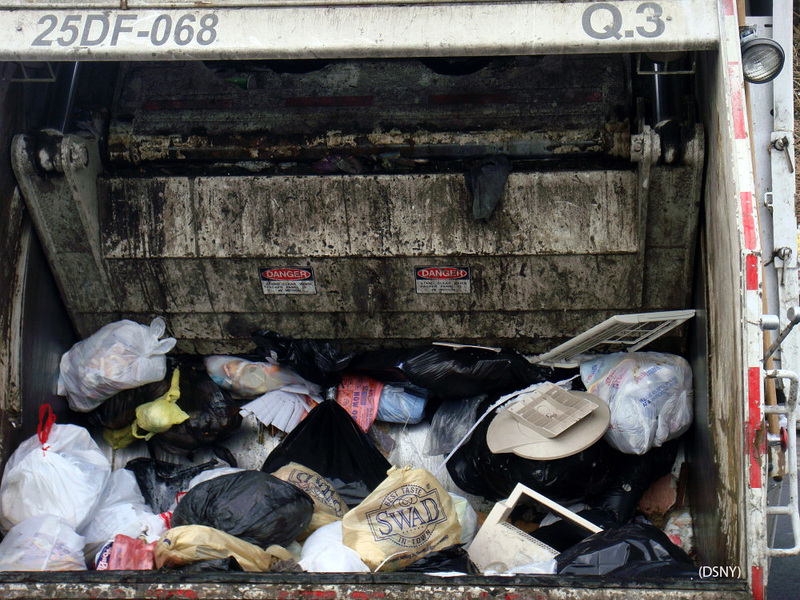 In 2013, there were about 1,450 line of duty injuries to sanitation workers and supervisors in the city. If you see a half-sunken boat spoiling your view of New York’s shorelines and rivers, you may wonder: Whose jobs is it to clean that up? The answer is not so clear. Over the time, hundreds of abandoned vessels are left to rust, leak gasoline and eventually sink into the bottom of a waterway in New York City, according to a salvage expert. Is the government doing anything to remove abandoned boats? Jim Dambrosio, program support specialist at US Army Corps of Engineers, said the Corps team is only responsible for removal of wrecks if they “become hazard to navigation and are free-floating.” In that scenario, the debris will be towed away by “survey boats on missions of drift collection.” In other words, if the vessel is tied to the dock and or is halfway in the sand, the Corps engineers can’t touch it. If an owner fails to act, figuring out who is responsible for a junk boat can be “a black hole,” said Brian Kempf, the director of Bureau of Marine Services at New York States’ Parks, Recreation and Historic Preservation. One challenging factor is the cost to have a marine salvage and wreck removal company to tow away a recreational boat–cost can ranges from anywhere between $10,000 and $15,000, according to Kempf. In light of the expensive fees, some state tries to collect public funding to help remove the abandoned boats. However, New York City doesn’t have that program, according to Kempf. In 2008, Congressman Anthony Weiner (D-Brooklyn and Queens) called for a federal aid package to subsidize a volunteer-led effort to remove 230 derelict boats from Jamaica Bay and other waterways around New York State, according to a Daily News article. To help mitigate the situation caused by gray areas around wreckage regulation, volunteers from around Jamaica Bay have participated in a marine debris removal project since 2002 called “Jamaica Bay Clean Sweep” led by American Littoral Society, a nonprofit organization dedicated to protect marine habitat and life.